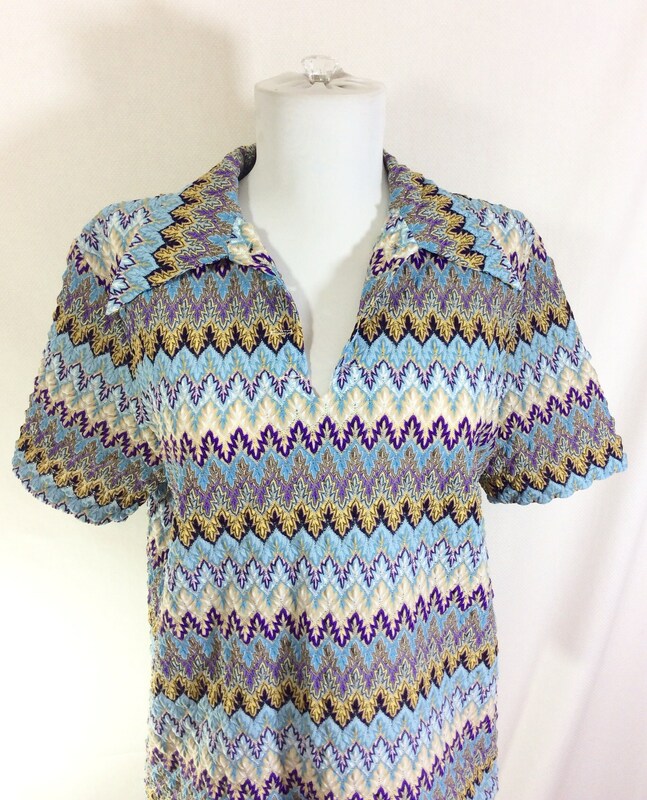 This vintage top is a fun and casual way to add a little color to your wardrobe! 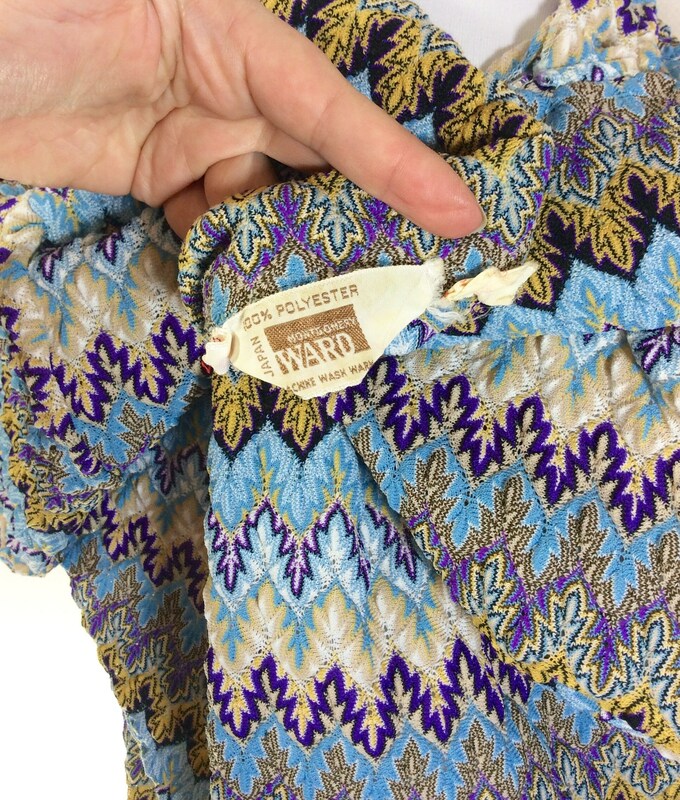 The shirt was made in Japan by "Montgomery Ward" during the 1970s. It is made of 100% knit polyester and is machine washable. There is no size indicated, but it would best fit modern women's sizes 8-10, or a modern men's size small. Please see measurements below to guarantee fit. 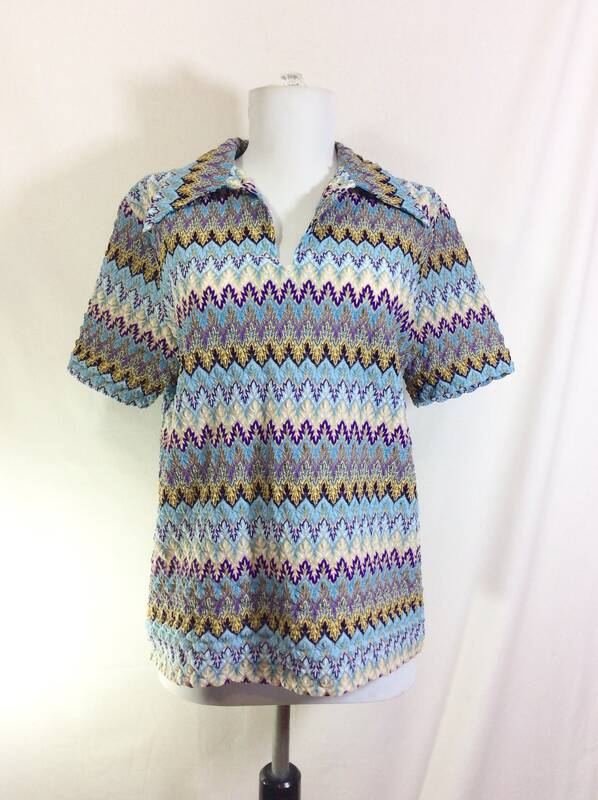 This chevron pattern on this shirt is absolutely stunning! 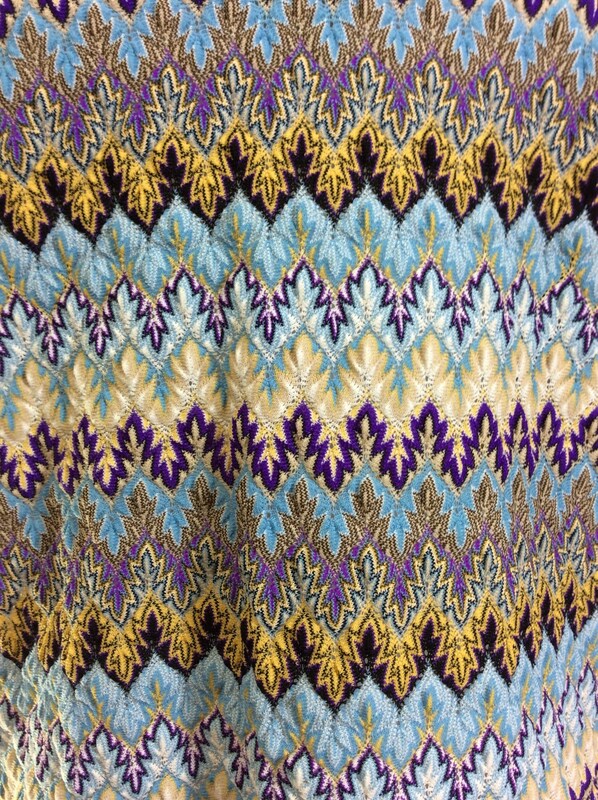 The colors include blue, purple, brown, and tan. 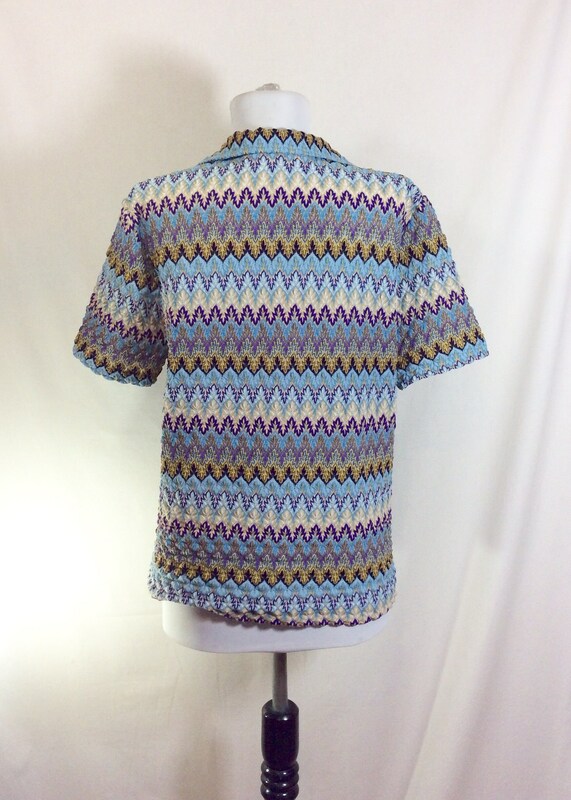 The fabric is lightweight and comfortable to wear, with plenty of stretch. The large collar lapels are a perfect representation of the 1970s, making this a cool piece for every day life, but also a great 1970s costume! This item is in excellent vintage condition. There are no holes or stains, and this garment was stored in a smoke-free environment. Measurements taken closed, lying flat, fabric relaxed. Sleeve length- 8.5 inches long.